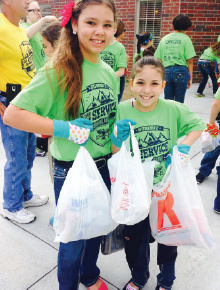 On Thursday, April 13, 2017, students will disperse across the city of Broken Arrow for Summit’s Annual Day of Service. They will complete various service projects such as beautifying the streets of BA, visiting and cleaning area nursing homes and community centers, collecting food and clothing donations for area food pantries, creating care packages for orphanages, soldiers and those in need, plus several other projects to serve those in our community. We’ll partner with many local organizations to complete our tasks such as BA Neighbors, Salvation Army, Blue Star Mothers, Red Cross, John 3:16, and the City of Broken Arrow. It’s an amazing day for Summit students and staff to honor & serve our community while spreading the love of Jesus! We are asking your family or business to sponsor the 2017 Summit Christian Day of Service. Please see below sponsor levels and recognition provided for our sponsors. All levels of support are tax deductible. In addition to the impact our students had on the community of Broken Arrow and the publicity the Summit Day of Service created, we raised over $65,000. This support allowed us to provide tuition assistance to families in need here at Summit. Broken Arrow Neighbors is also a direct benefactor. Aside from a small monetary contribution, we provide the manpower needed to complete multiple area projects for them. BA Neighbors provide basic emergency needs to more than 11,000 residents in the Broken Arrow area. We are asking your business to sponsor the 2017 Summit Christian Day of Service. Your generous sponsorship will help us attain our goals of serving in the community and raising funds to further education as well as provide financial support to Broken Arrow Neighbors. Please view the sponsor levels and recognition provided for our sponsors. All levels of support are tax deductible. Please do not hesitate to contact John Phillips or Angel Slingerland if you have any questions at all. We look forward to speaking with you about our 2017 Day of Service! 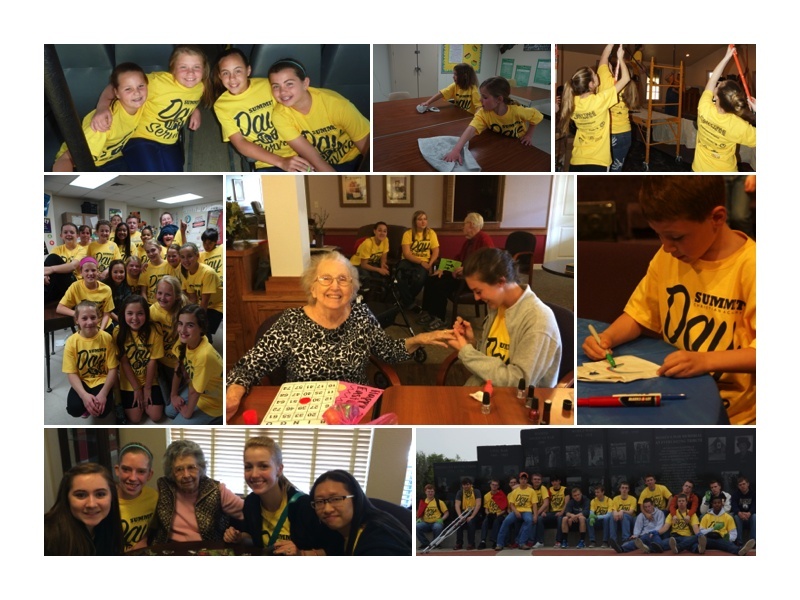 Your Company Logo on over 500 T-Shirts worn on the Day of Service. Recognition in the Broken Arrow Ledger. Recognition in our Summit Newsletter & Annual Athletic Program. All levels of support are welcome and all levels of support are tax deductible.